We have been around the block! BigBlock was formed specifically to provide our clients with a full suite of professional, technical and creative services. We know that today’s clients expect to stretch every dollar to it’s fullest without compromising quality of service or deliverable’s! With low overhead expenses and staffing up as the job requires, BigBlock Studios are able to offer our clients everything they expect from a design agency without the high downtown agency fees. 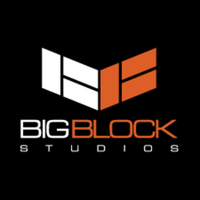 BigBlock Studios offers greater value and bigger advantages to all businesses – contact us, you’ll be glad you did! Have you ever had trouble finding your designer? Getting them on the phone? Getting them to call you back? Problem is; maybe they are at school, work or maybe it’s past their bedtime? That is what can happen when you don’t deal with professionals, you don’t get professional service, efficient service or timely service. As the saying goes…“If you think it’s too expensive to hire a professional… Wait until you hire an amateur!” At BigBlock Studios we are professionals, professionals by day and night… design is our career and our lively hood not our “side project”. We take pride in what we do and how we do it. Clean elegant design work with clean code beneath. Our service is to be available and professional, to deliver your project on time and within budget.